When it comes to planning your guys weekend or mancation, the hotel is almost as important as the destination. This is going to be your home base for a few days and it will generally set the tone for the rest of your adventure. 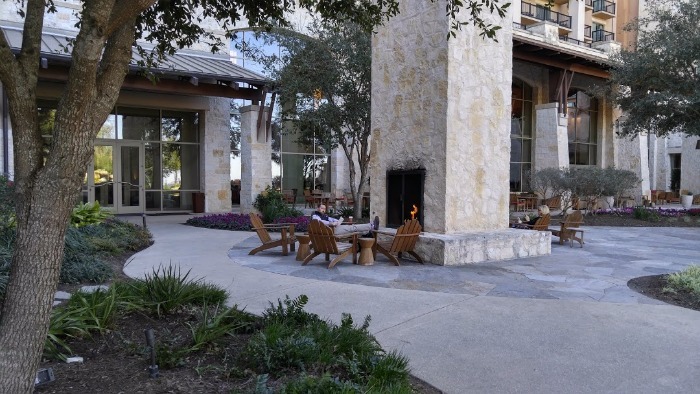 While I'm of the thought that different groups of guys can pretty much make anywhere work, the JW Marriott San Antonio Hill Country is one of my favorites since it offers pretty much everything you'd need for the perfect escape with your friends. 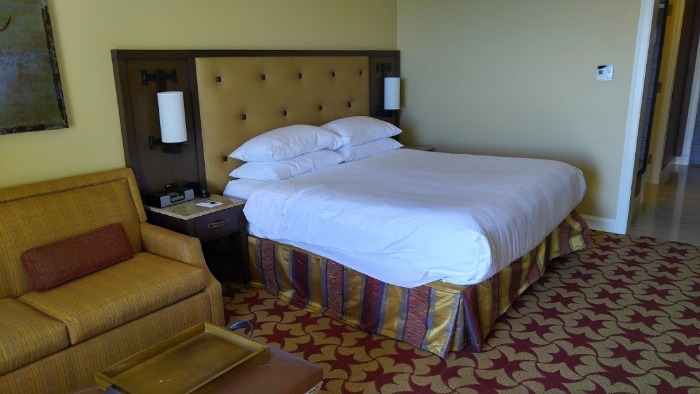 With a 9-acre water park that's complete with a 1,100 foot lazy river, slides, and an adults only pool to one of the top golf courses in the country and food to die for, this was one of the best resorts I've stayed at in a long time! 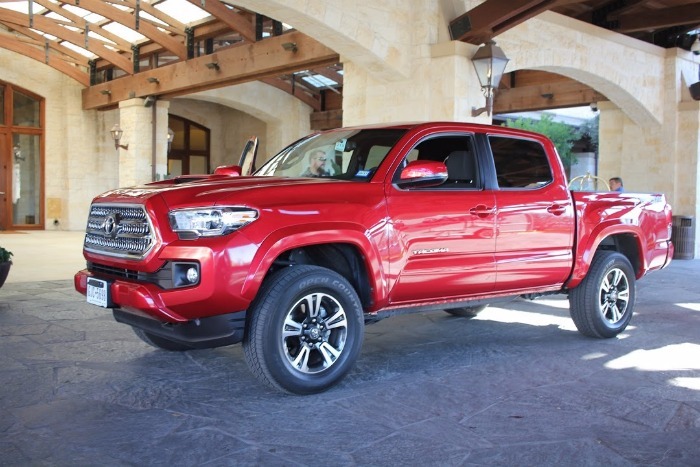 From the moment you roll up to the valet, you'll notice that it just feels masculine. With big timbers and stone to welcome you, it's inviting and luxurious but not frilly. As we explored the rest of the property, I found that this was consistent throughout. That isn't to say that this wouldn't also make a great place for a family escape or a romantic getaway - but it was perfect for a guys weekend. 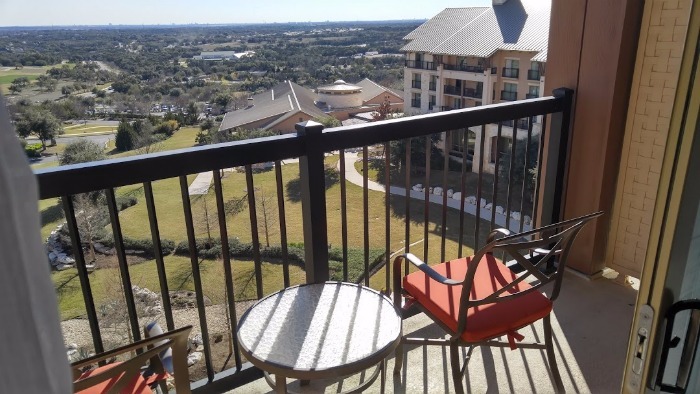 Once I arived in my room, the first thing that stood out was the balcony and amazing view. Inside the rest of the room, I found it spacious but not overly fancy though there were Texas touches throughout including the leather ottoman. At night, these fireplaces are a fantastic place to gather with friends and relax with a beer from the Crooked Branch (lobby bar) or smoke a cigar as you plan tomorrows adventures. This is my view from the room I stayed in. From this vantage point, it isn't difficult to imagine that you are the lord of an estate surveying your domain that lies before you waiting for you to explore it. Texas is generally flat, but the rolling hills here make for a great golf course experience and an interesting landscape. 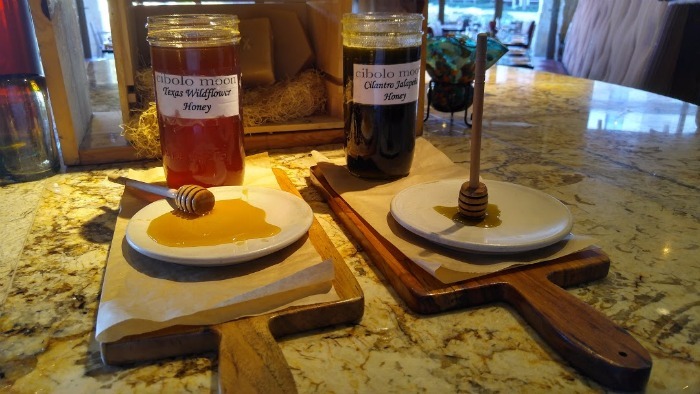 From an amazing breakfast buffet at Cibolo Moon featuring Southwestern favorites and local Texas flavors (some ingredients are actually grown on property!) to Crooked Branch - the signature lobby bar and of course, High Velocity - sport bar, the food was fantastic at the JW Marriott. The standout has to be High Velocity though, since ultimately you can have great food and a fantastic selection of local spirits at a lot of places. However, to have giant TVs wrapped along a curved wall in a sports bar is something special. I'm not talking about a bunch of flat panels - but the screen is actually curved and towers over you as you gobble up totchos, margaritas, and local craft beers. 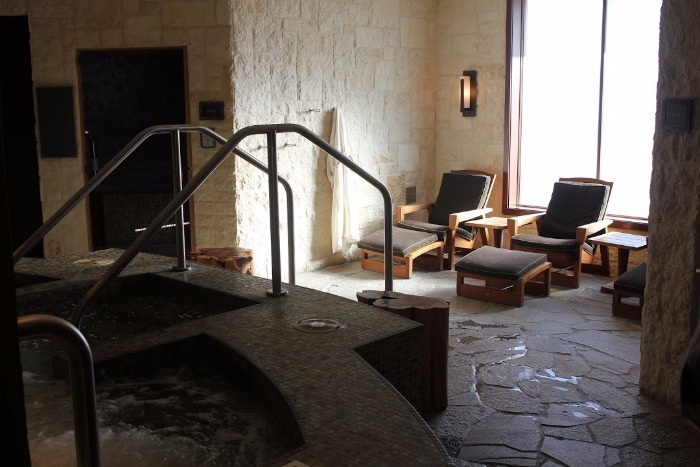 The Lantana Spa features 30 treatment rooms and a top notch men's sanctuary complete with private hot tub, sauna, and big wooden chairs to relax in after a sports massage. There's a also a private pool, cardio machines, free weights, and other weight training equipment to work off that chicken fried steak your hand for dinner last night! 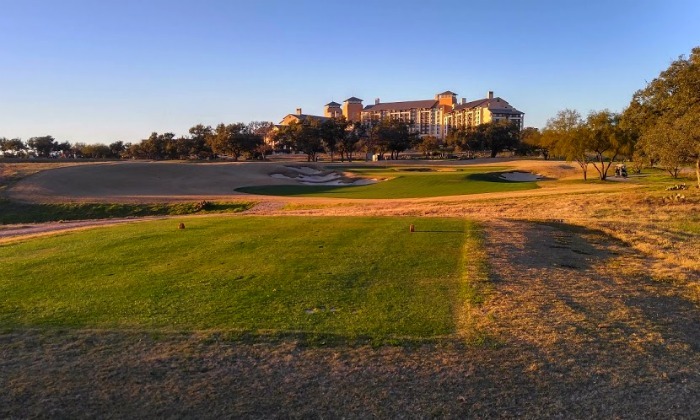 On the property is the 36-hole TPC San Antonio golf course that has some pretty challenging holes but fits in great with the Texas landscape including grasses and even catcus. 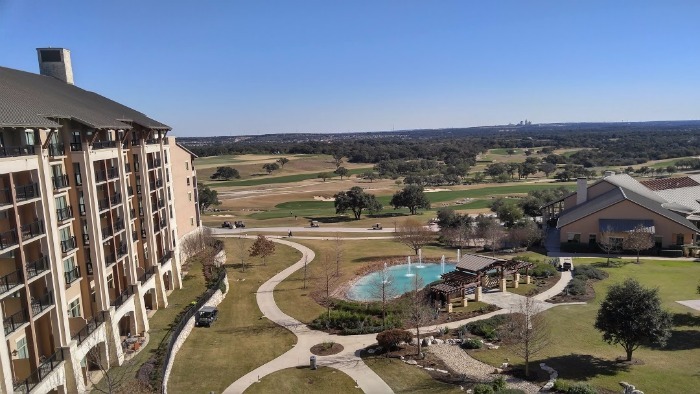 I look forward to returning here, it's a great resort that is incredibly complete with everything you could ask for to make a great Texas mancation!